This package offers whole body protection against the development of pressure sores. The Superior XD1900 Overlay should be placed directly on the bed sheet and gives best protection when the user lies directly on the wool. SC104XD is the Superior Pressure Smart XD1900 Overlay. Made from 1900g/square metre Merino wool, the Superior XD1900 Overlay provides the ideal surface for Pressure Sore Prevention and care. 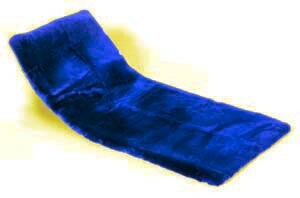 The SC104XD is machine washable and dryable; making it ideal for Nursing Homes and Hospitals. It is the same size as the HiTemp UR Superior Overlay- 30" x 60" and will provide continuous Pressure Sore Prevention for the whole body- from head to toe. Use 24/7 for best protection. Urine Resistance makes it suitable for incontinent users. W103E is the 1.0L bottle of Woolskin- the Sheepskin Conditioner and Woolwash with Tea Tree Oil. Wash in Woolskin to ensure the wool maintains its' special properties and to disinfect. Machine wash in Woolskin- the detergent developed by the tanning industry in Australia. 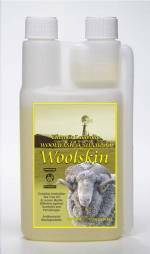 Woolskin cleans, conditions and disinfects the wool. Machine dry with low heat and minimal agitation until nearly dry. Then remove and place on the back of a chair or drying rack. Do not over dry, since wool does best with 15% residual moisture.